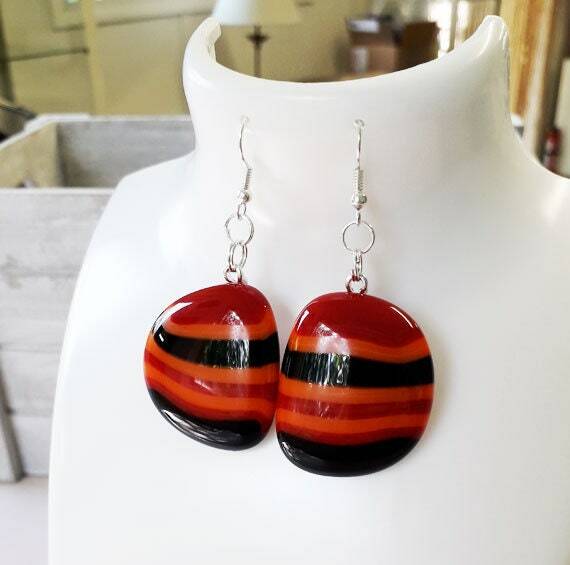 Fused glass earrings, made from orange, black and red fused glass on silver. 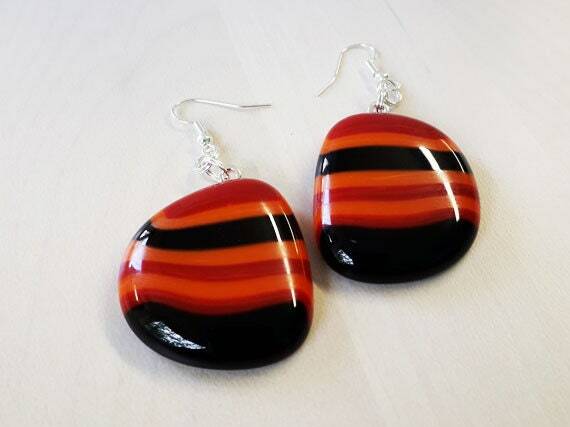 Dangly fused glass earrings made from black, orange and red glass in a bold stripey pattern. The earring wires are sterling silver. The cabochons themselves are about 33mm long, and when measuring from the top of the wires the whole earring is about 59mm. The shape of each earring is slightly different as always, but the glass is identical, so they match beautifully.